I'm originally from Baltimore, Maryland where I worked as a Graphic Artist for Johns Hopkins School of Medicine. I lived in Kenner, Louisiana for 8 years working as a freelancer. There I developed a passion for carving. Now my wife and I are retired in New Bern, North Carolina located on the Neuse River. The setting here lends itself to woodcarving. The woodlands and waters are very inspiring. 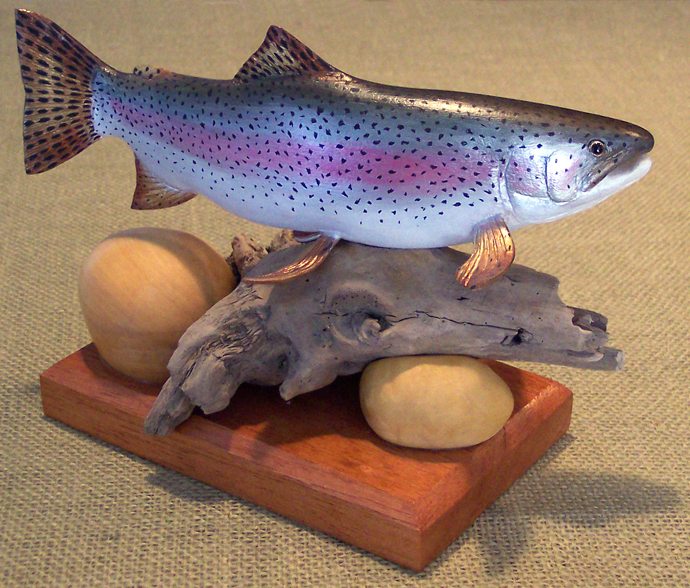 I carve just about anything, but I like to carve fish the most. I'm a self taught wood carver. I started carving in the early 70's and have been carving ever since. Now that I'm retired I have much more time to devote to the art. Every day is a new adventure for me in the wonderful world of wood carving.